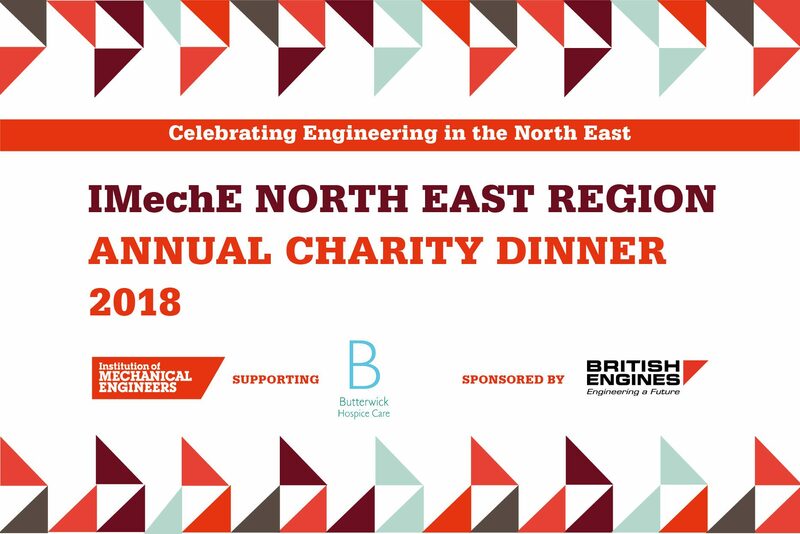 British Engines has sponsored the Institution of Mechanical Engineers North East (IMechE) Annual Charity Dinner for the 4th year. Over £1,600 was raised for this year’s chosen charity, Butterwick Hospice Care. The IMechE is an industry body that was formed in 1847 with the purpose of evolving the work of mechanical engineers and to encourage educational initiatives to inspire our future engineers. The organisation has the support of 120,000 members worldwide, including members from the British Engines Group, and is represented in over 140 countries. Over the evening the Institution of Mechanical Engineers North East’s Regional Chair, Bowman Bradley, stressed the importance of professional engineering institutions working together to encourage young people to choose a career in engineering. The donations received during the evening of the dinner went to aid this year’s chosen charity, Butterwick Hospice Care. For 35 years, the hospice has worked to improve the quality of life for those who have progressive life limiting illnesses and those close to them, offering positive support during the challenges they may face. We hope that everybody who attended the event had a good evening and we thank you all for your support.